In a medium saucepan, over medium heat, melt the butter and then add the flour. 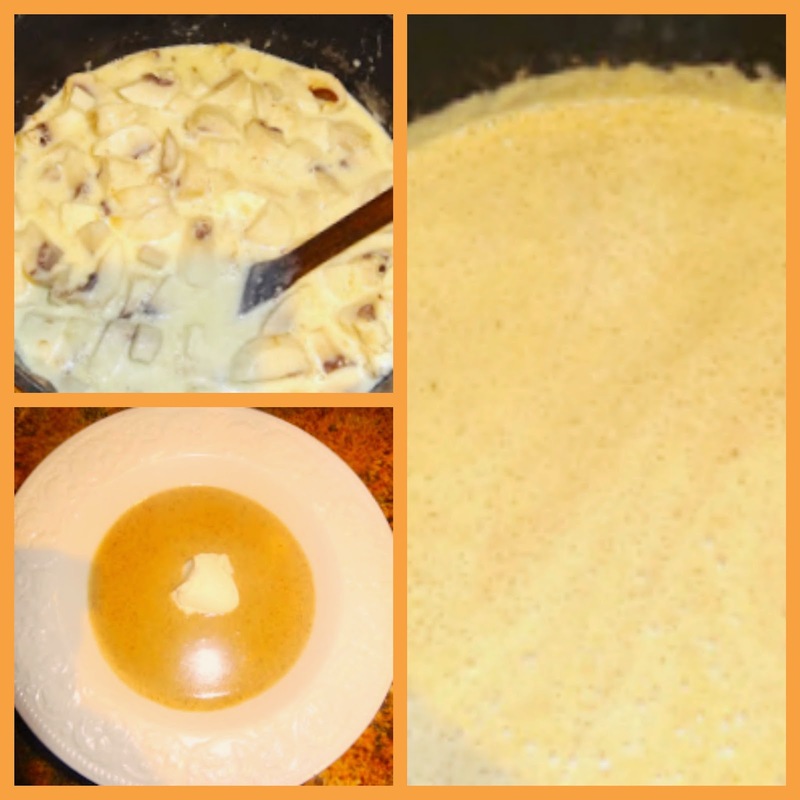 Cook the mixture until it bubbles, darkens in color, and becomes smooth. 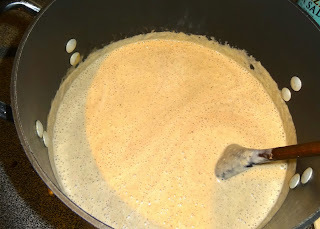 Add the heavy cream and the pepper and stir until the mixture thickens, and again becomes smooth. Add the garlic, the bandy, the chicken broth, and the beans, and remove from the heat. 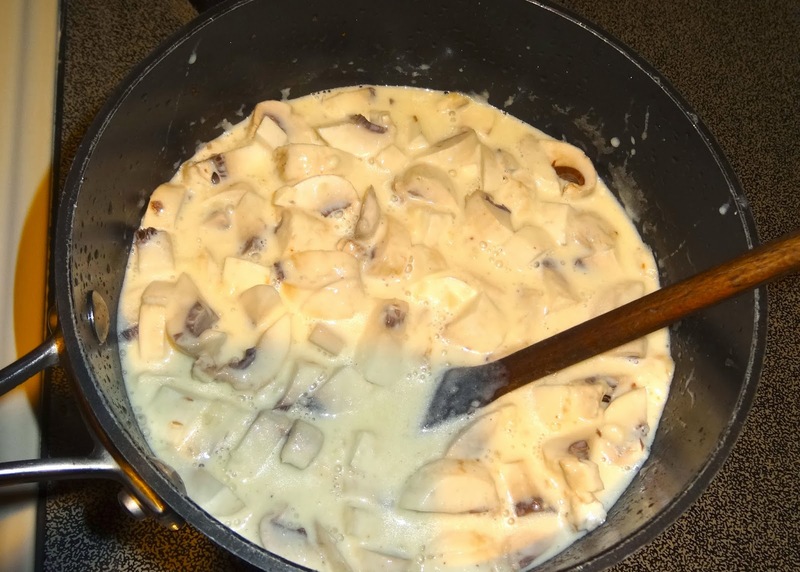 Add the mushrooms to the mixture, by now it should be cooled considerably. Transfer the mixture from the saucepan in small batches to the blender to process until smooth. After all of the mixture has been well blended, return it to a saucepan and place it back on the stovetop over medium low heat. Cook the soup for about thirty minutes, stirring frequently. Salt to taste. Remove from the heat and cool a couple of minutes before serving. Top with soft goat cheese or a dollop of sour cream. Enjoy!